Who won and who lost today’s film news? The Newsies is a regular feature that sees The Dissolve cheerfully adding to the awards glut by handing out imaginary awards related to the day’s movie news. In a new interview with The Independent, Dustin Hoffman throws shade at the entire movie industry, complains about how he’s no longer a leading man, and bemoans his inability to kill people indiscriminately and get away with it. “I think right now television is the best that it’s ever been and I think that it’s the worst that film has ever been—in the 50 years that I’ve been doing it, it’s the worst,” said the star of the forthcoming The Choir, which, to be fair, does look like the worst. “It’s hard to believe you can do good work for the little amount of money these days,” he added. “We did The Graduate and that film still sustains, it had a wonderful script that they spent three years on, and an exceptional director with an exceptional cast and crew, but it was a small movie, four walls and actors, that is all, and yet it was 100 days of shooting.” He goes on to lament the fact that he’s only finding supporting roles in his advanced age (though “women usually reach [this point] earlier”), express his deep desire of becoming a jazz pianist, and casually remark, “the longer you’re around, the harder it is to get away with murder,” which I am certain he means 100 percent literally. 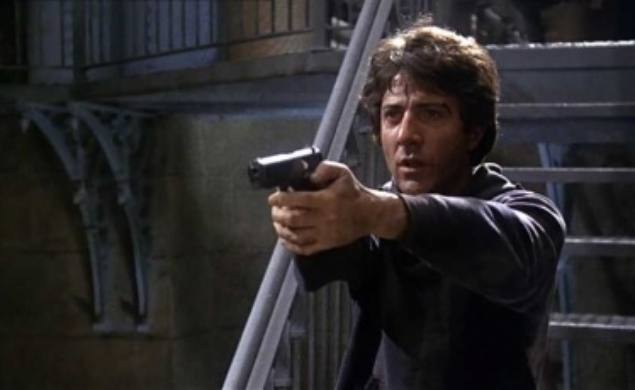 Who does Dustin Hoffman want to murder? Please guess in the comments. Heroic Hollywood has a “HOT RUMOR” for us today, so put on your oven mitts and cover your eyebrows and run for your mortal life. Rachel McAdams has maybe been offered the female lead in Doctor Strange, the forthcoming Marvel movie about a doctor who does a lot of pro-bono work and always sees his patients on time and has a lot of openings in his schedule for emergencies and never spaces out during surgery and accidentally leaves instruments inside of people. Outside of “this role will be female,” there are no other details available, so just keep running away from this Flamin’ Hot Cheeto of a rumor until we tell you to stop. Speaking of gossip that’s so hot it will turn your earthly possessions to dust: Hong Kong tabloid Apple Daily, which comprises a bunch of pages stapled together that repeat “an apple a day keeps the doctor away” over and over again in a variety of giant, fun fonts, is positing that Hong Kong action star Donnie Yen of Ip Man fame has landed a role in Star Wars:VIII (edit: not The Force Awakens). The report claims he’ll be playing a Jedi and “shooting scenes with Harrison Ford as early as next month.” Other names in consideration for the same role include Jet Li, Stephen Chow, Tony Leung Chiu-Wai, Daniel Wu, Wang Leehom, and Chang Chen, so don’t go sending Donnie congratulatory Apple Daily subscriptions just yet. Happify, the parent company of Apple Daily, probably, produced a study on TV and movie-watching habits and found some some “shocking” (their word) stuff. 1) Binge-watching makes you sad, an emotion that Happify does not recognize or condone. 2) Americans see an average of five movies a year, six if you count all the times they replay Die Hard inside their own brains, seven if you count that time they watched somebody else watch Space Jam through an open window. 3) Comedies improve your mood “temporarily,” are healthy for your heart, and open up blood vessels to increase blood flow and ostensibly make it easier for you to take your own life when you’re so sad from watching too many comedies in a row.